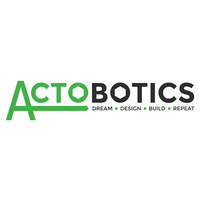 Actobotics is a robust, robotics building system made of aluminium and steel. Its assortment or robot parts, beautiful channels, and u-shaped beams with two standardised hole patterns make it easy to combine their full range of components intuitively. We stock a range of their products that will work for your next project, whether it be a prototype or a complex and sturdy robot!